Cartoon Network Books, 9780843182828, 112pp. It’s the last day of summer, and Gumball is all ready for a date–uh, pool party–with Penny. The only problem? 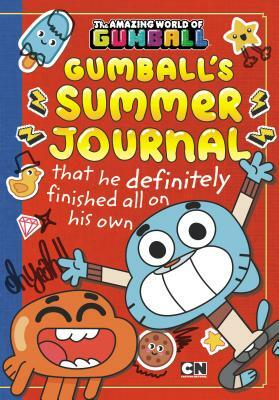 An assignment from Miss Simian he’s neglected all summer!Gumball This hilarious 112-page, paper-over-board journal is another great addition to The Amazing World of Gumball. Eric Luper was a chiropractor before he followed his dream of becoming a writer. He is the author of several books for middle grade and young adult readers, including Jeremy Bender and the Cupcake Cadets (Balzer & Bray) and Seth Baumgartner's Love Manifesto (Balzer & Bray).